Now Open for Sunday BRUNCH! 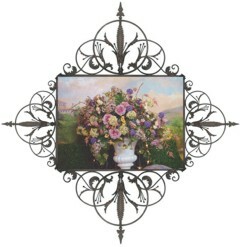 11:30 a.m. to 2 p.m.
Nonna’s Tuscan Restaurant is simply beautiful! Nonna’s is a quaint, South Jersey fine dining restaurant that serves French-Italian cuisine in a serene Tuscan ambiance with a wood-burning fireplace, fresh flowers, tile floors and crisp, white linens that adorn its terrace and dining room. Jean-Sauver Fiorentino has been the Chef at Nonna’s since it opened in March, 1995. Chef Fiorentino was exposed to the culinary work at a young age, having grown up on the French Riviera in Cannes amid wealthy Parisian tourists and celebrities who visited the well-known film festival each year. His culinary career has taken him to London, Paris, Munich, Madrid, Monaco, Canada and Philadelphia – where he worked with Georges Perrier. Chef Fiorentino, out of early retirement, along with his wife, Vivian, undertook a massive renovation of an old metal stamping factory on Haddonfield-Berlin Road. This Cherry Hill property, and Chef Fiorentino’s third restaurant, is known to many loyal patrons and guests as Nonna’s Tuscan Restaurant. Chef Fiorentino uses only the freshest produce, seafood and prime meats at Nonna’s to create his signature French-Italian dishes. Tempting pastries, desserts and breads are all restaurant specialities produced daily by Chef Jean-Sauver Fiorentino. In addition to fine dining, Nonna’s is a South Jersey Premium Caterer and Event Planner. 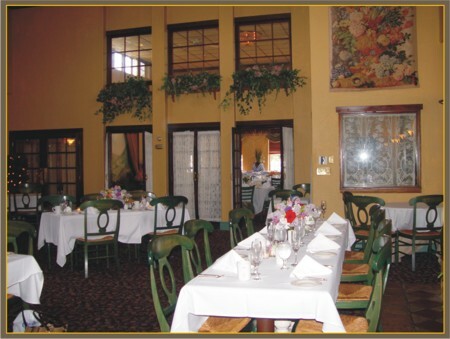 Nonna’s intimate banquet rooms, accented with hand-painted Tuscan mural artwork, cater to Business Dinners, Funerals, Bar-Bat Mitzvahs, Class Reunions, Pharmaceutical Luncheons, Baby Showers, and beautifully appointed Wedding and Anniversary receptions with an enchanting, outdoor Garden Terrace. Nonna’s can customize any special celebration. Please call Kathy at 856-795-1778 to give you a personal tour of Nonna’s and information on Nonna’s unique catering services. Call for a reservation and enjoy a food and dining experience – JUST LIKE ITALY!